Melilla, Spain, April 24th 2014. 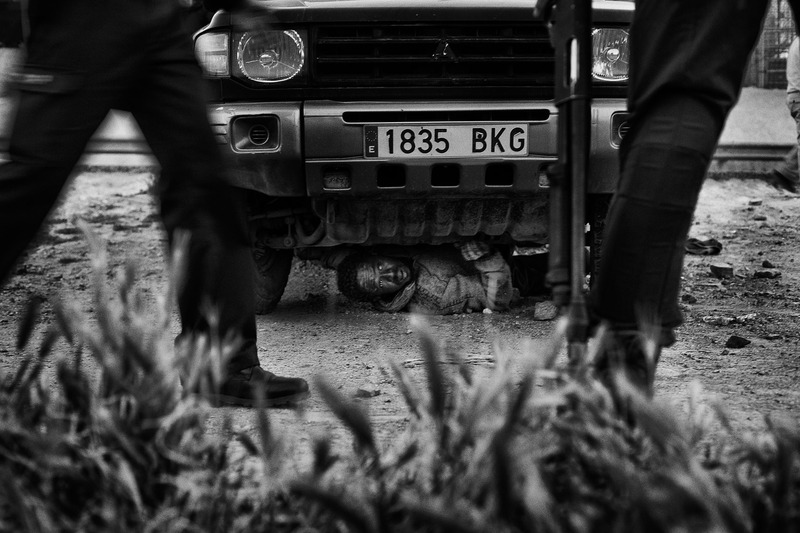 A subsaharan migrant hide himseld under a vehicle trying to avoid an illegaly expatriation by the Guardia Civil. He eventually managed to escape.